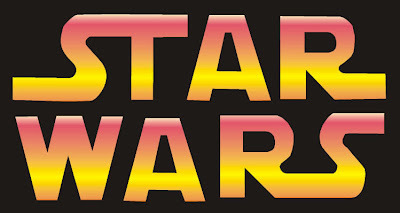 I have updated the 4 Star Wars checklists on my site. These include the Complete Star Wars Timeline, the Star Wars Digital Stories Checklist, the Star Wars Video Games Checklist, and the Star Wars Comics Checklist. Head on over to my Star Wars page to see the new versions or head on over to my Updates page to see what all the new change/additions are. September 1st - Still nothing, I hope to start once my new laptop arrives and I am a little more organized with school. October 1st - Still nothing. Have laptop, just need time now. September 1st - 172.8 (and back up, apparently doing only aerobics does not help you lose weight. Unfortunately I am doing a triathlon in 2 weeks so that is the main focus of my training. October 1st - Actually down to 1 now. Payed off the one card, and now the last card has a 0% APR until 2011, so this will probably not be payed off this year. But otherwise I mostly achieved this goal. Mostly focused on school at the moment. 2 classes are only 1/2 semester and 1 is completely done. The other will be done next week, so that should at least give me a little more time. This month I got the chance to go home for a couple of days, then I saw Star Wars in Concert (awesome), and then went up to the annual GSA meeting, where I gave my first professional presentation. Overall I thought it went well. But I have been pretty busy lately. I also announced that I have a new baby on the way, and other than that I have no real exciting news. But I'm already thinking of my goals for next year. A couple of them are going to be extensions of the ones for this year that didn't get finished.